1. In a large bowl, combine flour, sugar, cocoa powder, baking powder, baking soda, and salt. . In another bowl put eggs and beat it properly then add butter and vanilla and beat it properly and then add this mixture to the large bowl and mix well. 2. Put some salt in the cooker and put the stand to keep the cake pan. Now grease the cake pan with butter and pour the mixture in the pan and close the cooker. Initially keep the flame in high for 2-3 min and then keep in low flame for 35 min. 3. After 35 min check with wooden toothpick if the cake is baked properly, if it come out smoothly then it is fully baked. Now allow it to cool down fully and remove from the pan and place in the flat plate. 4. Now for making cake cream for icing we have to beat thick cream( Amul is what I use) for 10 min with the help of an electric beater. Add sugar and vanilla essence and beat 5 more min and see whether the cream has got enough thick to be used as icing! Beat it till it becomes thick and sticks to beater without falling from it. Keep it in fridge for 2 hours. 5.With long knife, split each cake layer horizontally in half. Put some sugar water and then spread the cream in between and then keep the top layer of cake and then again put some sugar water and then do the icing with rest of the cream. Put cherries on top of cake for decoration and sprinkle powdered chocolate on top of the cake. 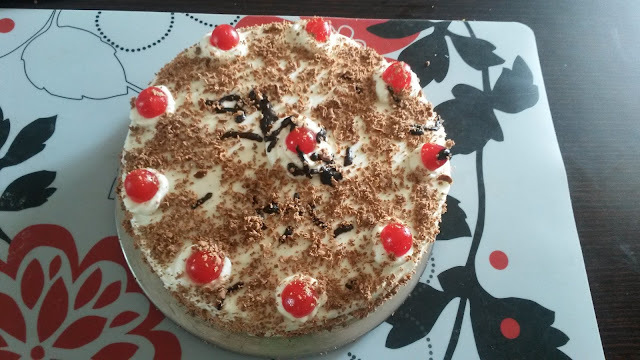 Yummy black forest cake is ready. 6. Do give it a try it will surely turn out good. 1. Heat milk in a pan over medium-high heat and let it come to a gentle boil. 2. Pour in the souring agent (curd, Lemon) and stir gently. I have used lemon here! 3. Let it curdle till you see the paneer and water separate.Put of the flame and leave it in the pan for 2-3minutes for it to settle. 5. Wrap the cheese tightly within the muslin cloth and press down with a heavy stone. Leave it to set (for around 1 hour). 6. 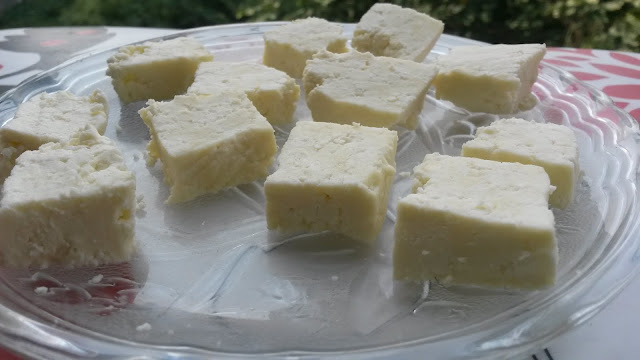 Cut into cubes once set and add to the dish of your choice. Its been a long long time that I have written any recipe here, I am sorry for that , was stuck with baby and his things, being a mother is not an easy thing just got to know hehe! Step 1 : Put all the above ingredients for egg fry in a bowl(see above) and mix it well. 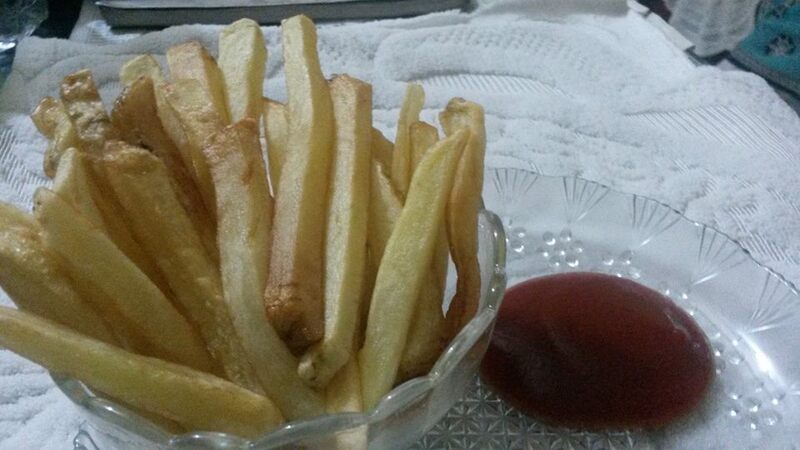 Put some oil in the frying pan and put the mixture and fry the egg mixture till is properly cooked. Then keep it aside! Step 2: Now take another pan and add oil, then add curry leaves, Soya sauce and cooked rice and mix it well, then add salt and pepper as per your taste! 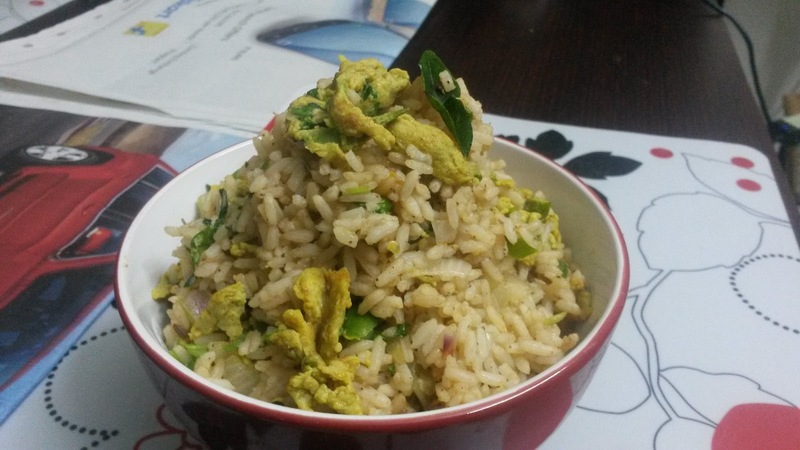 Step 3: Take the fried crumbled egg and mix in this fried rice properly and garnish it with coriander leaves. Your Fried egg rice is ready to be served! 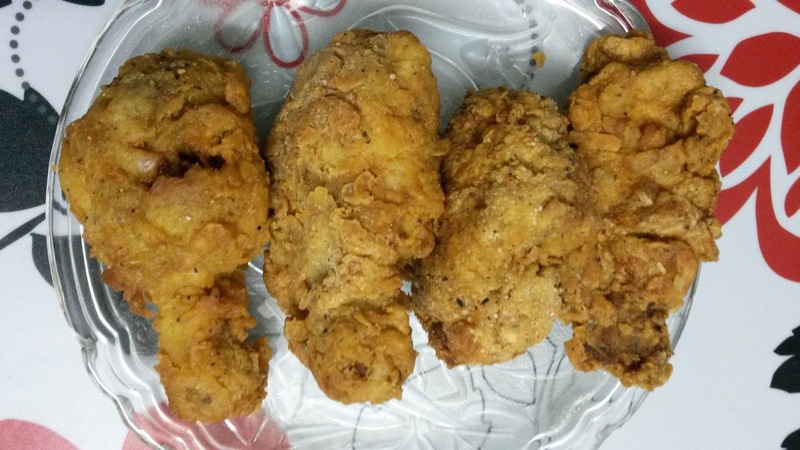 Ever went and had KFC chicken and felt like finger licking good? Heard a lot about it but I have never gone to KFC but the feedback I got about the Chicken there tempted me to learn it. 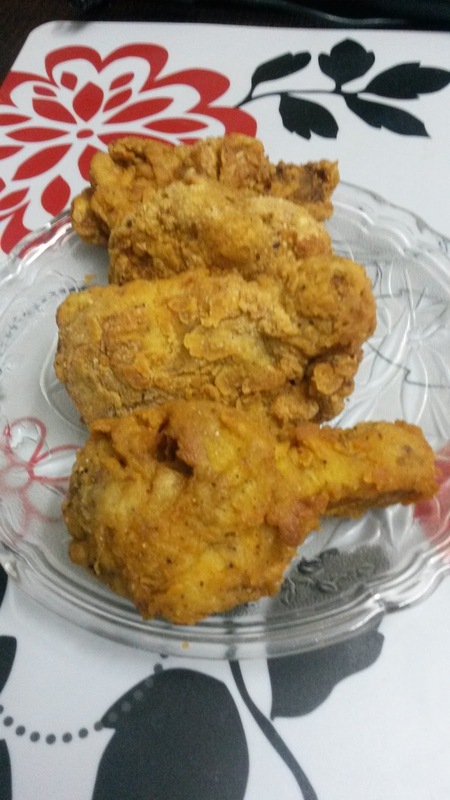 Its a very simple recipe plus I have put some of my ideas because I love spicy food (only difference is I have marinated chicken for some hours, if you find that difficult then without marination also one can make it! But as I don't like plain chicken taste from inside I always prefer to marinate it before with spices! I like to spice up everything lol, okay jokes apart here goes the recipe! Step 2: Now put egg in a bowl and add milk in it and keep it aside! Step 3: Take another bowl and add maida,salt and black pepper and mix it properly! Step 4 : Take a pan and add enough oil for deep fry, then take one pc of marinated chicken , dip it in egg/milk solution and then put in maida/salt/pepper mixture we made and again dip in egg/milk solution and then again in maida mixture and then deep fry it. Itnitally keep the flame high for 1 min then cook is low flame for 7-8 min! Step 5 : You hot and crispy Kfc style chicken is ready! Enjoy..
Note- You can make this without marination as well. As onam is coming soon,so thought of covering some of the items which are prepared during onam. Onam is the festival celebrated in Kerala. The feast which is known as onam sadhya is served on plantain leaves and consists of about 26 dishes,can you imagine that?, okay am learning few of its dishes and hoping to learn many more! 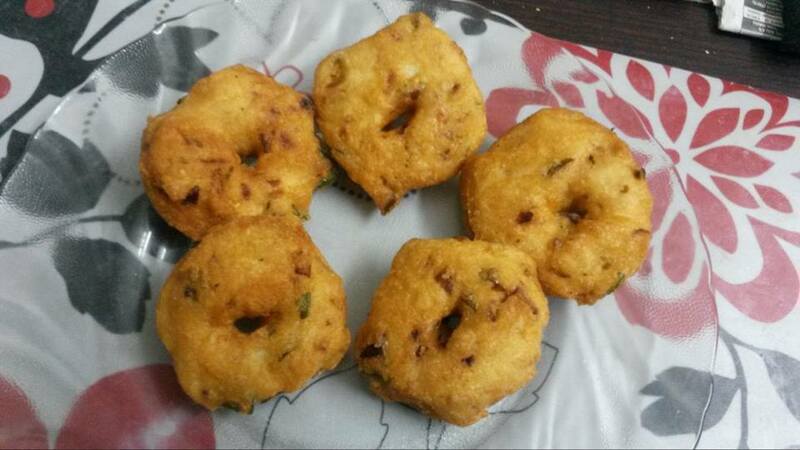 So here I present one of the onam dishes Errisery! Here goes the recipe. Step 1 : Soak cow peas for 4 hours and then pressure cook with salt . Drain and keep them aside. Step 2: Cut pumpkin in cubes. Now take a pan and add pumpkin, some water,red chilli powder, turmeric powder, black pepper powder and salt and close the pan and allow it to boil and cook properly till it is fully soft. Now add cooked cow peas .Now grind the ingredients for Coconut paste. (See the above ingredient to make coconut paste) and add them and allow it to come to boil. Step 4 : Mix it well and your errisary is ready to be served! Note- If pumpkin is not sweet then we can add a small of piece jaggery while cooking pumpkin. There are many ways to make Egg curry and this is one of them, first we have to roast all ingredients and then add egg in it. 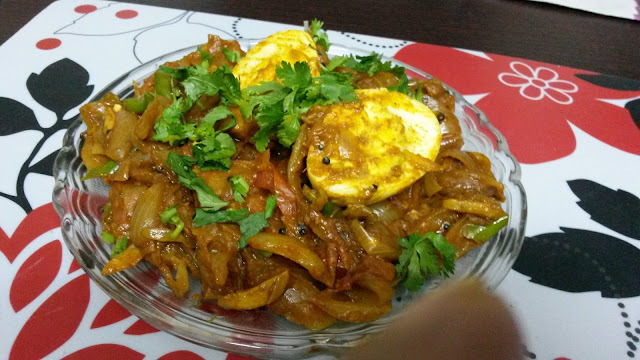 When we have less time and want to prepare something yummy this is one easy recipe to go for, also this goes with rice, roti, paratha! So here goes the recipe. Step 1 : Cut onions, Ginger, garlic, green chilli and tomatoes in slim long slices. Step 2: Now add some oil in the pan and add mustard seeds and allow it to crackle. Now add ginger and garlic slices and fry till it turn little golden in color. Step 4: Time to add tomato sauce and Soy sauce and mix properly, now add boiled eggs and mix. 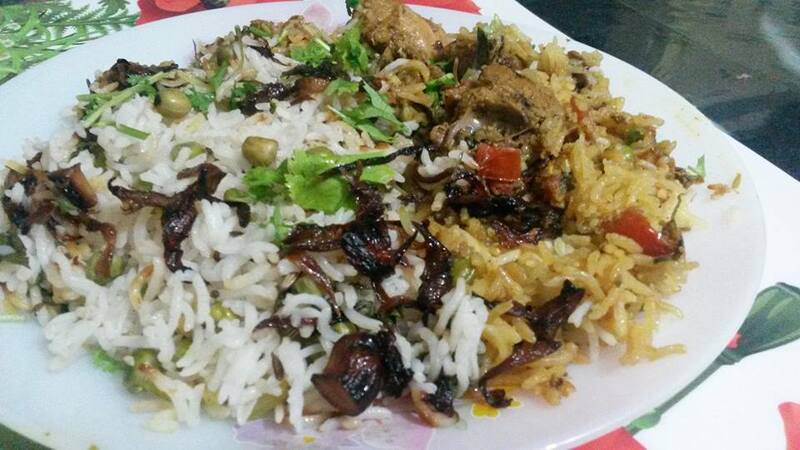 Now garnish with coriander leaves! Step 5 : Your egg roast is ready! 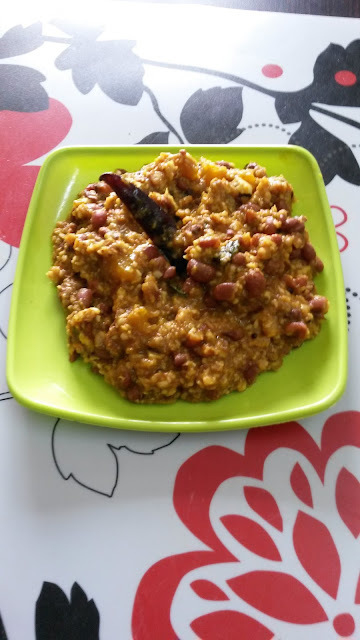 This is one of the famous road side snacks, here I am going show you how easy this recipe is though it looks difficult.So here goes the recipe! Step 1 : Make a thick dough putting maida, ghee, salt and water(put less water to make thick dough). Now keep it for 30 min. Step 2:Now heat a pan and add ghee, then add jeera and fry it for sometime then add ginger paste fry till it become golder in color then add onion and again fry it till it becomes golden in color, now add red chilli powder,turmeric powder,salt,garam masala,coriander powder,heated and crushed coriander seeds,amchur power and mix it well, now add potatoes and green peas and coriander leaves, after mixing everything properly close the flame. Step 3: Now make the dough in oval shape roti and cut from between. 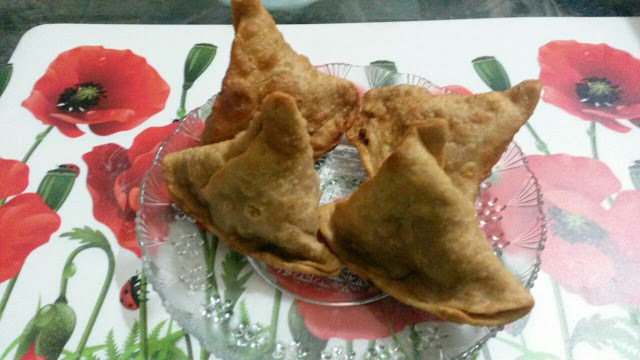 Now take one side and roll it in triangle and use water as glue to make the corner stick properly, now fill it with samosa filling and again close it using water as glue and press the extra dough standing above the triangle in one side shown in the above picture. Step 4: Now deep fry it in low flame and allow it to cook properly. Step 5 : Hot Samosas are ready to be served!